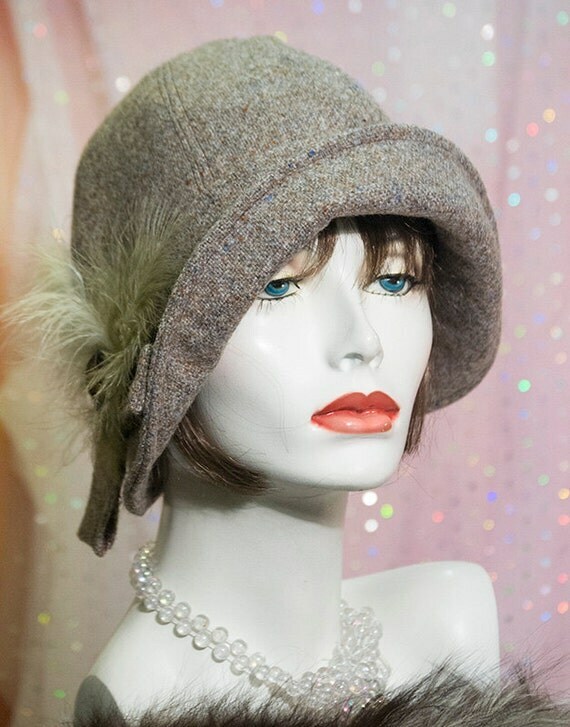 Classic cloche 1920s vintage flapper style hat with a turned up brim in a smart look ready to wear for any season. A soft colour pallet of browns and A beautiful accessory which can complement a casual or tailored outfit. The band is made from the same fabric adding interest and texture . A very classic style with a sophisticated look. This hat is lined in brown polyester the hat is made in a beautiful quality pure new Shetland wool all top seems are doubled stitched. I do my absolute best to post your item or items the day after payment has, cleared, and I will always post your item by 1st class Recorded Delivery.